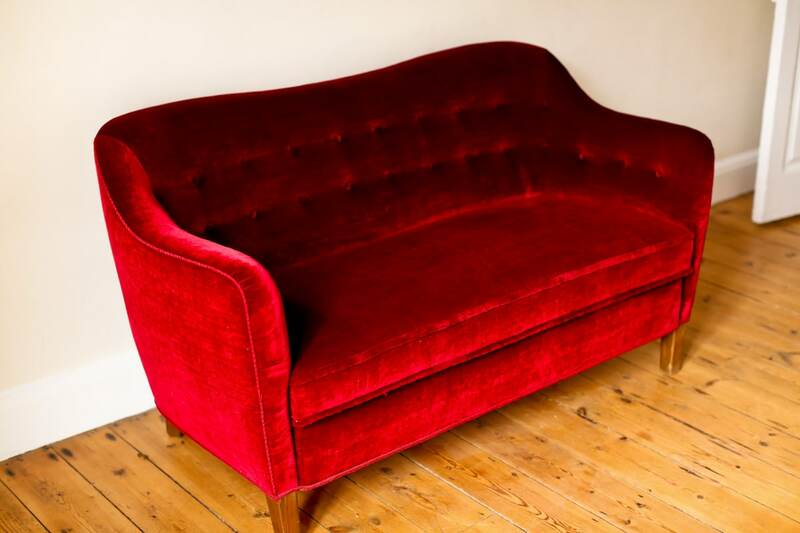 An original Danish sofa from the 1950’s. 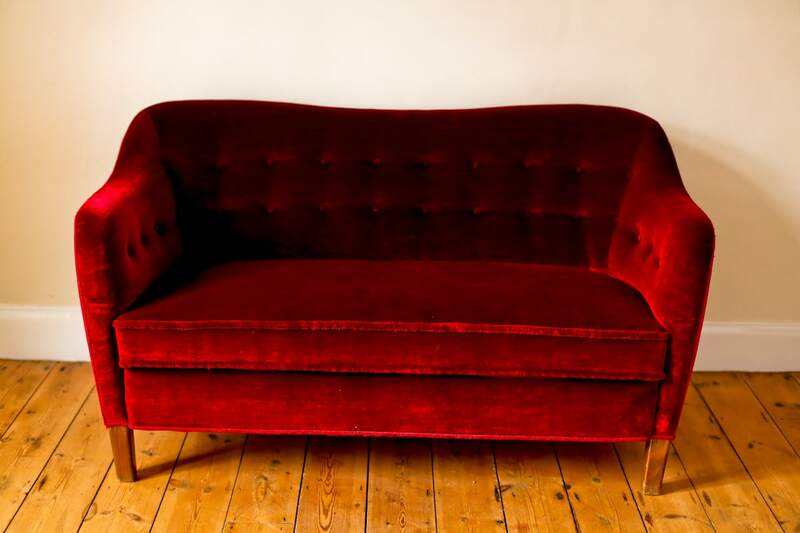 Beautiful dark red velvet upholstery on stained beech legs all in an excellent original condition. 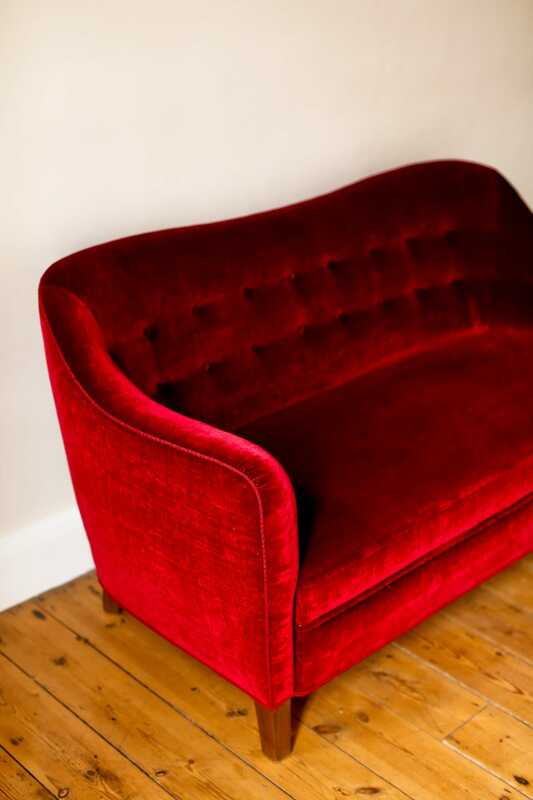 A charming Danish sofa from the 1950’s. 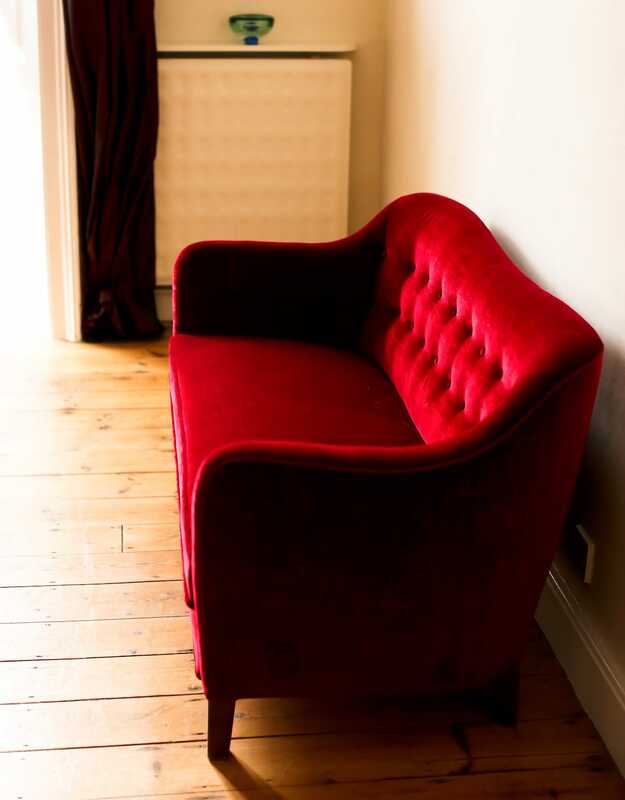 Beautiful organic form shown to great effect by the original red button back velvet upholstery, a really beautiful mid century sofa.